Attendance to optimal avenue International multi media cultural festival between Dublin and Massachusetts on may 2001. Presenting exhibition of Afghan calligraphy and Afghan women crafts in civic museum on 3rd of May 2001. Presenting exhibition of Islamic calligraphy of Herat Afghanistan in Galway library from 8th to 19th of January 2001. Afghan craft and photograph exhibition in equality authority on June 2002. Exhibition of Afghan Calligraphy and miniature painting from Herat-Afghanistan in Ilac centre library in Dublin from 23re of March to 30th 2004. Giving articles about afghan culture to Metro monthly cultural paper. The film of Multi media cultural festival that presented in Dublin reported and broadcasted to the centre of afghan German cultural program in Hamburg T.V. in 2002. Presenting (9) track of Afghan music CD to Ireland Radio and T.V. Interview with Irish examiner, Sunday Independent, Herald on 2003. Interview with Metro Eiarne in 2004. Attendance to the Amnesty International Irish Section as Minority Ethnic Advisory Group for monthly meting. Attendance Impact, International day against Racism conferences in 2002. 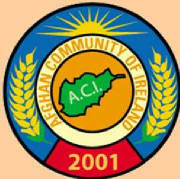 Attendance to SARI sport against racism Ireland on 3rd of may 2003 and 2004 and presenting Afghan food exhibition. Presenting Afghan Calligraphy and miniature painting form Herat-Afghanistan to eve of International day against racism in Ilac library in Dublin city form 23rd of March to 30th of March 2004. Attendance to a number of seminars and meetings in Ireland.